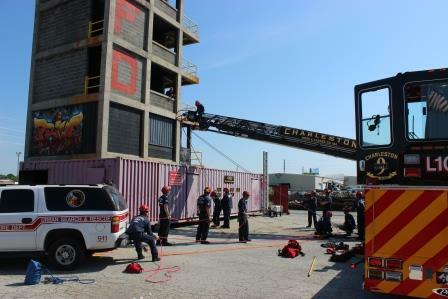 The Charleston Fire Department Technical Rescue Team is made of 30 members of CFD Operations personnel. The Technical Rescue Team can respond to any emergency involving low/high angle rescues, trench rescues, structural collapses, confined space rescues, missing persons search, and inclement weather response. All Technical Rescue Team members receive specialized training and trains monthly on different scenarios. All CFD TRT members are also members of South Carolina Task Force 3. 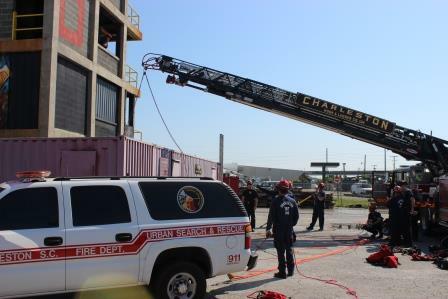 SCTF-3 is one of 5 FEMA Type II USAR teams in South Carolina.